ZDC published the trend report of tablet PC user in China. 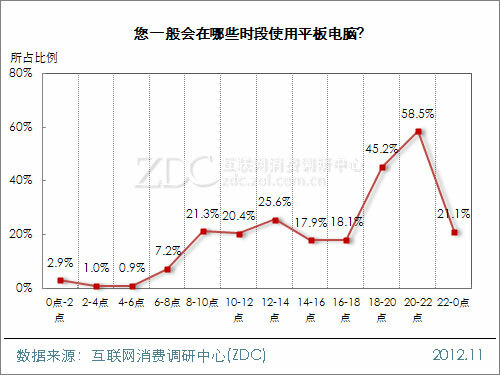 Recently, tablet PC user is steadily increasing in China. Well, how purpose they use their tablet PC for? 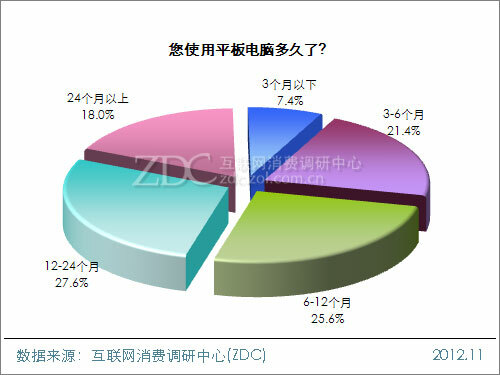 ZDC published the one of answer for this, and it is a user research of tablet PC as follows. 1. Which tablet maker do you use? 2. Which tablet OS do you use? 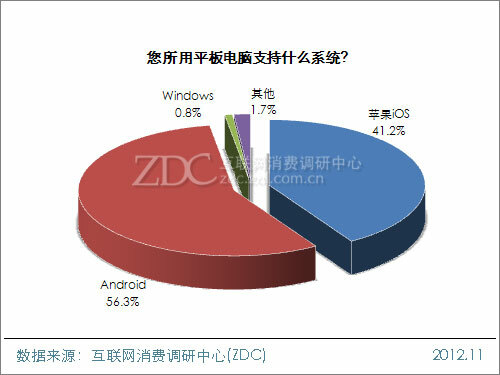 Android tablet have a over 50% market share, and Apple iOS have 41.2% of market share in China. 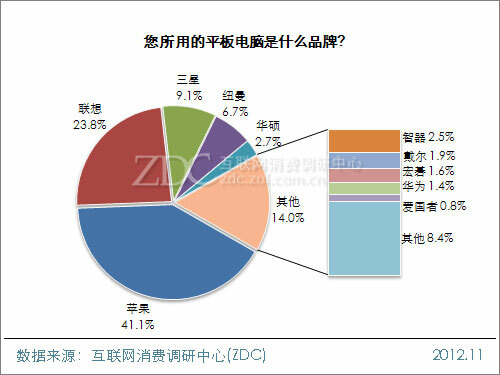 So it can be said that tablet PC market in China is still the status of two top era. Microsoft already published "Surface". But they haven't started to provide it in China formally, so their market share is very few at this moment. 3. Which price range is your tablet PC? 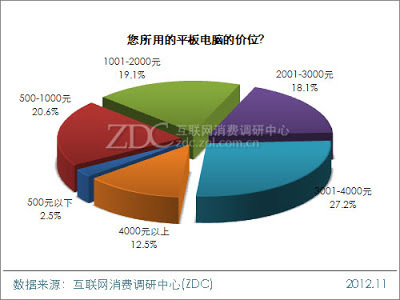 The price range of 3,001 to 4,000(477 to 636 USD) have the biggest share in this report, and the price range of 500 to 1000(79 to 159 USD) is the next position. So it can be also said that the price range of tablet PC in China is the status of bipolarization now. 4. How long do you use tablet PC? 5. Usually, what time do you use your tablet PC? 20 to 22 o'clock is the most used time range, and the next is 18 to 20 o'clock. So it can be said that many tablet users use their tablet after their work. 6. Which purpose do you use tablet PC for? 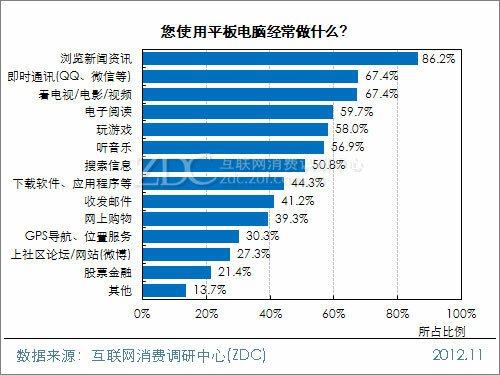 Watching this report so far, I felt that consumer tablet user is more than business user, but there is also the another fact that business tablet user is gradually increasing in China. I will keep watching the trend of this market as before.